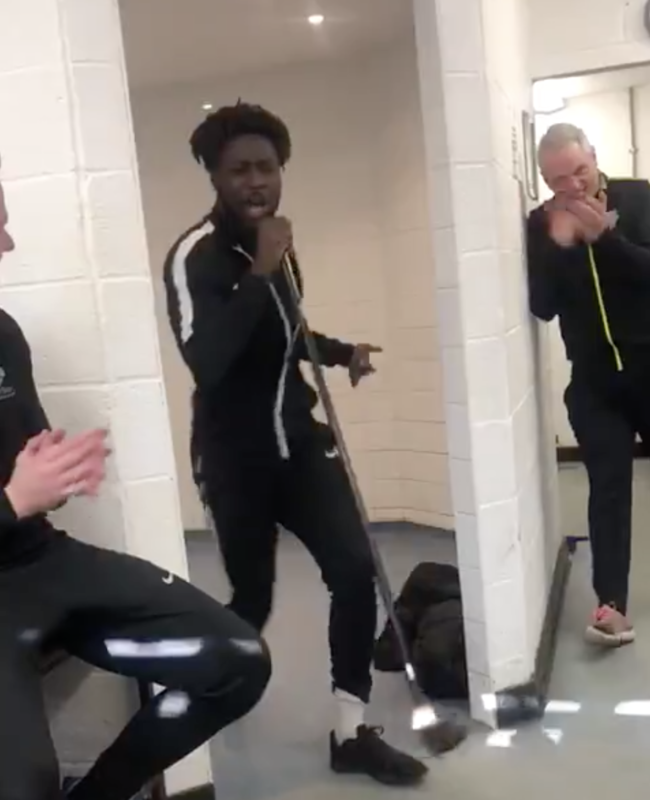 After turning up late for their FA Vase quarter-final clash against Biggleswade at the weekend, Canterbury City striker Mobolaji Dawodu abided by the team rules and was forced to belt out his rather impressive rendition of “La Bamba” in front of all his teammates. It clearly helped the team on their way to victory, as the Southern Counties East League Premier Division side went on to win 2-1 and book their place in the semi-finals of the competition. Is it better than this Michael Jackson initiation song, though?